These are smaller than our standard retail pad but plenty serviceable. 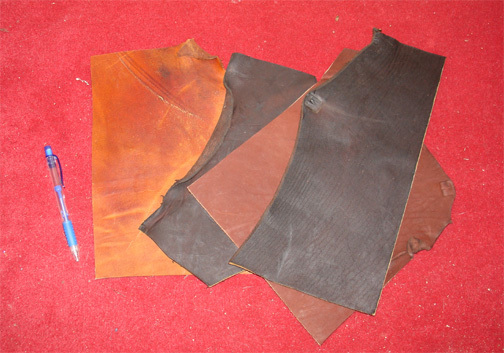 Medium to thick cowhide, and you can use them as is on the knee, cut them into palm pads, or leather craft items. Typical sizes will be 7x10, 6x12, 8x10, 8x9, mostly irregular in shape, but selected to use for knee pads.